Living… in the toughest city in America: Brooklyn, New York. Profession… student at James Buchanan High. 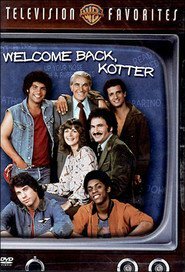 He leads a group of kids in the remedial class known as the Sweathogs – Epstein, Horshack, Boom Boom. They may not get good grades, but they know how to have a good time. Interests… Vinnie Barbarino. He’s famous for singing his own name to the tune of “Barbara Ann” and dancing around in celebration of the coolest, greatest guy he knows: himself. Challenge… not flunking out of Buchanan. The vice principal hates him, and no matter how hard his teacher Mr. Kotter tries, Vinnie has no interest in book learning. Hopefully he can charm his way to graduation day. Personality… dumb, suave, handsome, and flirty. He answers most questions with a simple “what?” or “when?” but it’s no joke – it doesn’t take much for him to become confused. And yet, his undeniable charisma has the rest of the Sweathogs hanging on every word in his limited vocabulary. Vinnie Barbarino's popularity ranking on CharacTour is #3459 out of 5,000+ characters. See our top-ranked characters and read their profiles.